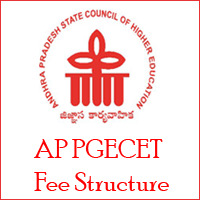 AP PGECET Fee Structure 2019 Available. Aspirants can check the Top M. Tech Colleges PGECET Fee details in Andhra Pradesh. We have provided the Latest Andhra Pradesh PGECET Colleges fee details for the academic year 2019. The fee structure for all M.Tech courses offered by the Top Colleges in Andhra Pradesh has updated. The Government of AP approves this PGCET Colleges fee particulars. This latest AP PGECET Fee will apply to the all private unaided professional institutions and all remaining Engineering colleges in the Andhra Pradesh. This new PGECET Fee Structure for the Academic year 2019-20 has been approved by the Government a few days ago. The State Government of Andhra Pradesh has released this latest AP PGECET Colleges Fee Structure in the month of June 2019. The AP State Government has made slight changes to the earlier PGECET Fee Specifications. Recently, some of the private institutions had reduced their M.Tech Fee. Nearly, 280 private unaided professional institutions have fixed their AP PGECET Fee in between Rs 35,000/- to Rs 1.1 lakh per annum. Among from those 280 colleges, most of them are fixed the AP PGECET College Fee below Rs 60,000/-. Aspirants can pay the PGECET M.tech College Fee in instalments also. So, candidates must check the fee details of AP PGECET Colleges then only proceed to web options. Applicants can choose the possible number of PGECET colleges. AP State Government will provide some percentage of fee constitution for the higher rank candidates. So, candidates must check all the conditions once before the web options entry. We have provided the College fee structure of AP PGECET Colleges for the academic year 2019. Candidates can stay tuned with us to get further updates about the AP PGECET Fee Structure 2019 through the website www.appgecet.co.in. Sir what is the payable fee if I got a seat in self finance course through pgecet counselling… Thanks in advance sir.. Im a bc candidate..
Hello ,when pgecet counselling will be held? Second Counselling Dates will be released soon. i have a doubt regrading PGECET after qualifying pgcet for M.Tech post graduation course in jutuk university. we will get fee reimbursement and scholarship… in case in oc category…if u know please give ur reply..
can any one suggest me my pgcet rank is 2847 under oc categeory can i expected to get a seat in any one of the university.